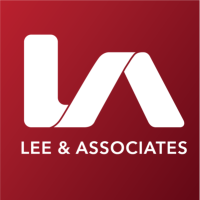 Lee & Associates Miami is a full service commercial real estate brokerage firm providing the highest level of service to Miami’s diverse industrial, office, retail, multifamily, investment and land sectors. Our dedicated team of professionals is led by Matthew Rotolante, a 4th generation Miami native in a family that has owned and operated commercial property in the Miami market since 1928. Our bilingual culture allows for open communications throughout the company, fostering collaboration and information sharing. In addition, the Lee & Associates’ robust national network offers our clients a cross-market platform of services and expertise across all asset specialties and representation roles. Our clients can count on the fact that Lee professionals will have the resources, knowledge, and experience required to successfully meet the unique challenges of today’s dynamic and ever-changing Commercial Real Estate environment to make informed and optimal decisions for their real estate.